Retail Price: $125.00 Log in for LOWEST PRICE! Domaine Parent is a fixture in Pommard, with offices right in the center of the village. Claude Parent established the domain in 1803. Six generations later, in 1998, Anne and Catherine Parent took charge from their father Jacques. Anne Parent looks after the technicalities of the viti- and viniculture, while Catherine Fages-Parent is responsible for the commercial aspects of the business. Since 1998, Anne has slowly modified her approach. The grapes are handpicked, giving slightly lower yields. Sorting occurs on a vibrating triage table before destemming. Fermentation uses local yeast. Twice daily pig?age is employed. What emerges is consistent balance in the wines. While fresh and tasty, there remains the muscularity of the terroir. Located close to Volnay, where the soil has more limestone, the nose of Les Chanlins is a little broader and higher toned. 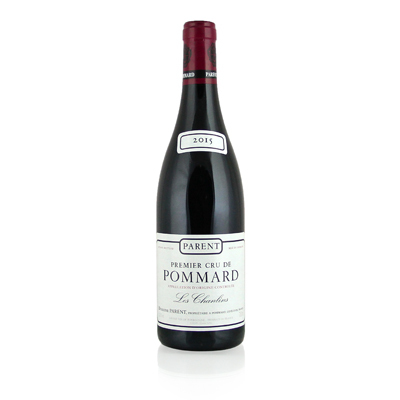 Agile and tannic with an extra layer of flavor in the mid-palate, this Domaine Parent Pinot Noir finishes with a good diminuendo.